The other day I received a strange comment on our Facebook ad, so I checked their profile and found out that they worked for Thrifty but failed to disclose. Not true. I went to my local Thrify depot and was told how it works. that we sell for Allainz. If the customer does not take their CDW then that is fine and the car rental company will take a small amount out of your credit card as a deposit. The same applies if the customer has their own cover or uses Tripcover car rental excess insurance. a typical, insurance reimbursement, policy and you would need to claim from Allianz. But it is true that if you have an accident the car rental company will assess how much damage costs and will err on the side of caution and usually charge your card around $4000 and refund later when they have an accurate quote. If it was just tyre or windscreen damage they would just charge the estimated costs. would be refunded within 10 working days. The car rental companies are not happy that we sell this insurance cover as they make a large degree of their profits from their CDW and have been doing so in Australia for the last 50 or so years. 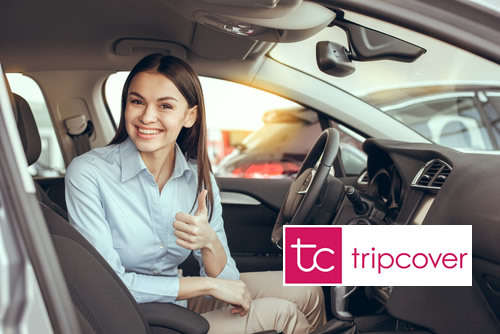 Tripcover was the first standalone reseller of this type of car rental excess insurance policy in Australia, starting in Jan 2012. We now sell over $1.5M worth of cover each year and it is growing annually with a number of new players in the market also. Thrifty, Avis and all the other major car rental companies have failed to react to our foray into this market, other than try scare mongering, but like all lazy and greedy incumbents they may rue the day that they failed to heed the complaints of their customers and our warnings.